Dr Graham Kenny, CEO of Strategic Factors, is an internationally recognised expert in strategy and performance measurement. 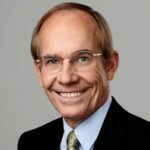 He is Australia’s only regular presenter to the Harvard Business Review and is passionate about helping boards, executives and managers lead successful organisations in the public, private and not-for-profit sectors. He does this in three ways: 1) Upskilling leaders – through more than 20 years as a presenter of courses and workshops on strategy and performance management, by producing world-class materials, and through keynote speaking; 2) Consulting and facilitation – working with leaders to develop their business strategy and performance scorecards; 3) Publishing – through books, articles and manuals. Graham has written five books, writes extensively in publications aimed at on-the-job managers and is a panellist advisor for the Harvard Business Review. Apart from the Harvard Business Review, his articles have appeared in Company Director, Leadership Excellence, Management, Marketing, Commodities & Trade to Asia, HR Monthly and Charter. Graham’s executive experience has been considerable: as a turnaround specialist, CEO, Plant Manager, Market Development Manager, Design Engineer and Construction Supervisor. Graham is a Foundation Fellow of the Australian Institute of Company Directors, a Fellow of the Institute of Managers and Leaders, a Member of the US Academy of Management and a Member of the US Strategic Management Society.